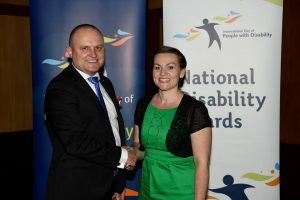 On Monday 7th December 2016, in The Great Hall at Parliament House, Kerri Cassidy received the award for Excellence in Justice and Rights Protection for People with Disability, especially people with Multiple Sclerosis. The announcement was made by the Assistant Minister for Social Services and Disability Services, Jane Prentice. This was in recognition for her striving for Medicare access for angioplasty treatment for CCSVI, initiating a clinical trial into its effectiveness and working to raise over $320,000 for this research. 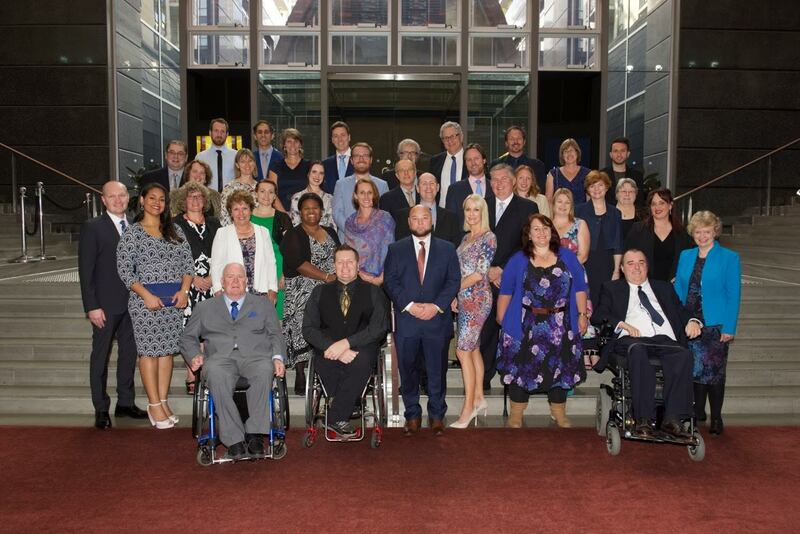 The National Disability Awards, now in their 10th year, recognise the achievements of people and organisations that have improved the lives of people with disability. The Awards are a major part of the Commonwealth Government’s celebration of International Day of People with Disability. Thank you to the board of CCSVI Australia, friends, family and supporters both within Australia and globally – this is honestly the result of a team effort. The International Day of People with Disabilities promotes the importance of leadership by those who live with disability in attaining dignity, rights and well-being, and we have operated in this space for the past seven years, on a purely voluntary basis. This award signifies that Australian society values our voices, our stories and our experiences. People with Multiple Sclerosis are not a homogeneous group; our challenges and aspirations are different, just as they are different between all people with disabilities. No one person or organisation can be the national voice of all. Injustice has and continues to occur. Blood flow is a basic necessity for every organ – imperative for a healthy brain. Our research so far shows that 80% of people with MS have this flow interrupted in the neck veins. One possible treatment is angioplasty – a cheap, minimally invasive procedure performed for decades and available to all Australians on Medicare – unless you have MS. It is not a cure, but having flow restored makes us feel better and improves symptoms like vision, cognition and fatigue. This makes perfect sense to most people. Angioplasty is a reasonable ask to help improve quality of life for people with a degenerative and incurable disease. My life was drastically improved and I have not required MS medications for the last six years – a $300,000 savings to tax payers. Unfortunately MS specialists claim blood flow is insignificant to Multiple Sclerosis and moved to block access in 2010 – ironic considering vascular care is not their expertise. Without early intervention the consequences of impaired blood flow can be disastrous. Multiple Sclerosis is no exception. The use of some immunosuppressant medications, that are common with MS, frequently exacerbates this already dangerous situation. The ramifications of this neglect cannot be measured by degrees – it is simply terribly wrong. It has been left to us, PwMS, to fight for access to be restored. We’ve donated our time, our money, our effort, to instigate the science ourselves. To prove something that is intuitive – brains need to drain. Now we need your help. The minimum we require is access to cardiovascular screening, including CCSVI, and guidance on how best to manage these outcomes. PwMS need empowerment to make informed choices about a complex medical condition. We are not just a brain and spinal cord, and if a vascular specialist identifies an abnormality and has a treatment suggestion, a neurologist should not interfere because we have MS. The Coalition has recently acknowledged the significance of cardiovascular comorbidities and multiple sclerosis and identified the Australian Medical Research Future Fund as having an important role in progressing this imperative. How can the Parliament help us to make this happen?